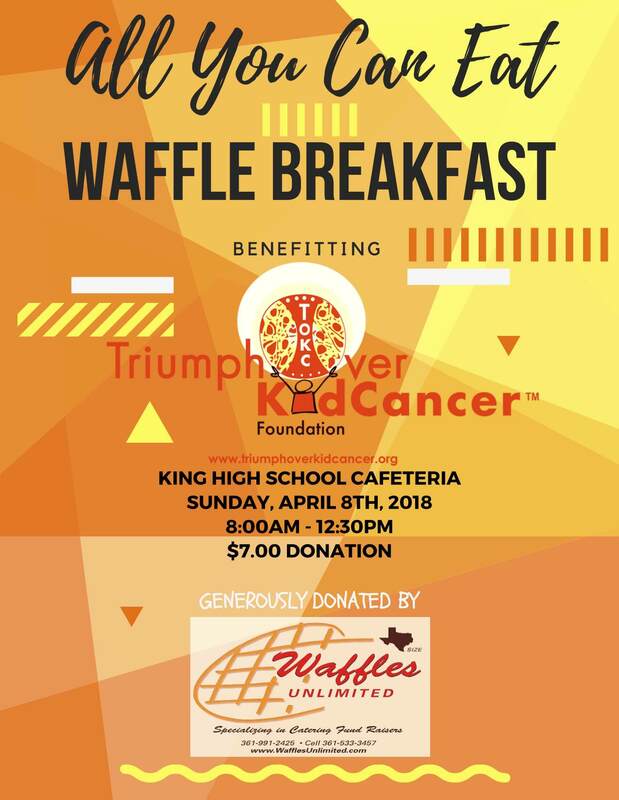 Come support our childhood cancer foundation and our Do That One Thing student councils with an all you can eat breakfast. Together we can increase research funding to improve the treatment and survivability of pediatric cancer. If you have any other questions, please contact us. The DTOT! Council members will also be at the event to help direct anyone who needs assistance. Waffles generously donated by Waffle Unlimited.